Even though fall is just setting in, now is the perfect time to begin planning your office or corporate holiday party in Kansas City. Before you know it, the Christmas decorations will be out in force at Union Station, and you’ll be poring over your list of friends and relatives trying to decide who is naughty or nice enough to deserve a present. 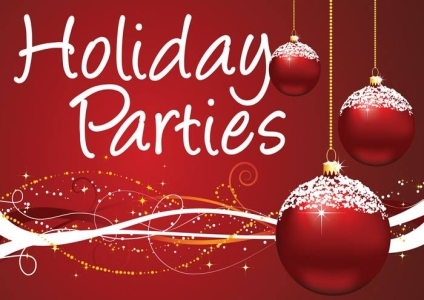 So get your stress and worry out of the way by booking one of these amazing Kansas City Holiday party venues that will have your staff gushing about it all the way into 2017. If you want to go where it’s happening in Kansas City, just pick any business in the Power & Light district. This cultural mecca boasts tons of fun restaurants, venues and entertainment options to keep your team grinning throughout their Holiday event. Howl at the Moon — Effortlessly hip and always a blast, this bar is the place to go for an amazing time. Rent the whole space or just reserve a few tables, your choice! This massive brewhouse occupies three floors and has three different rental spaces for different party sizes. Rent the entire Muehlebach Suite for up to 225 people, reserve the Brewhouse Bar for up to 75 or pick the intimate tap room for up to 35. Another option would be to simply take your staff on a tour and mingle by the main taps! No matter what you choose, your group is sure to enjoy the delicious beers and classy décor. Make no mistake, this trampoline-filled is not just for kids. They offer events packages for as low as $15 a head and have exciting activities that include dodgeball and trampoline basketball. Kansas City has a unique jazz history steeped in the city’s centuries-old culture. Celebrate this legacy by taking your crew to one of these incredible jazz venues throughout the city. Mastermind Escape Games in Overland Park, Kansas is the newest and most exciting escape room near Kansas City. We offer four different themed escape puzzles, including the mystical Sorcerer’s Secret, the popular Outbreak room, and a Bank Heist puzzle that will have your team rubbing their hands together trying to get as much loot as possible. Best of all, these escape puzzle experiences can bring your group together in ways that strengthen teams. We offer group rates and can make special accommodations for your party. Before or after, you can take your group to awesome, affordable and delicious Overland Park bar restaurants like The Peanut or Cinzetti’s. Go ahead and book your Overland Park escape game Holiday party today to get your stress out of the way and your group pumped up early.